Jon Masters provides an in-depth analysis of Highways England’s latest work in computer-led design and its potential to change the way we deliver the next genera-tion of roads. Engineers employed in the design stages of Highways England’s smart motorway programme are getting to grips with a new way of working – collectively labelled Rapid Engineering Model (REM) - first reported in Highways December 2018. 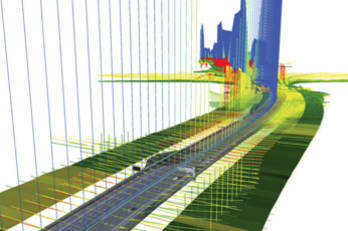 Pictures of the software from Highways England.